Dazzling lights and thunderous beats greeted innovators and entrepreneurs at the second edition of the Singapore Week of Innovation and Technology (SWITCH) 2017. Held at the Marina Bay Sands Expo and Convention Centre, SWITCH 2017 featured eight conferences, more than 300 exhibits and seven satellite partner events over three days. 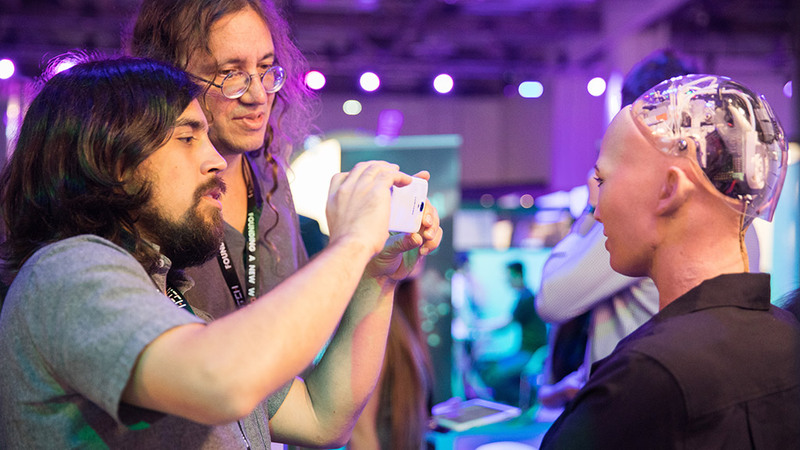 The annual event gathered close to 10,000 creative minds in one place to network and collectively envision the future. Amidst this electrifying atmosphere, Singapore’s Minister for Finance Mr Heng Swee Keat took to the stage to assure inventors and business owners that Singapore is dedicated to building innovation capacity and supporting curiosity-driven, use-inspired research. Mr Heng’s speech was followed by a panel discussion entitled ‘Imagining a New World with Technology’. 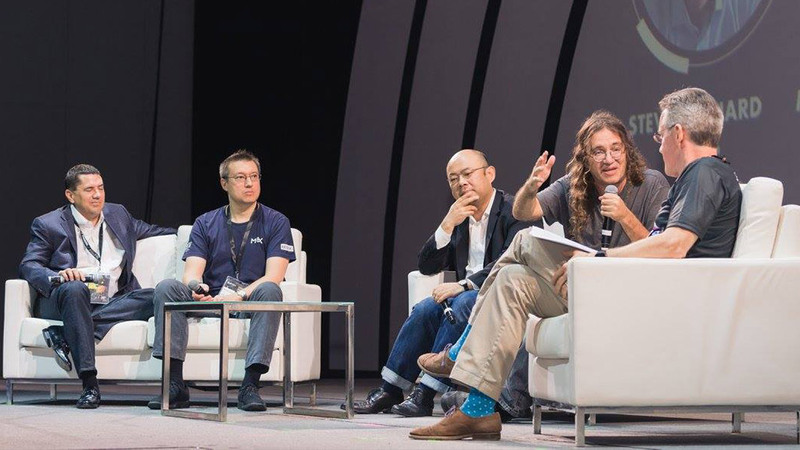 Moderated by SGInnovate Founding CEO Mr Steve Leonard, the panel comprised Mr Taizo Son, CEO of Mistletoe; Mr Mike Descheneaux, president of Silicon Valley Bank; Mr William Bao Bean, General Partner of SOSV and managing director of Chinaccelerator and MOX; and Dr Ben Goertzel, co-founder and CEO of artificial intelligence (AI) marketplace SingularityNET. Technological advances are an essential part of ‘Founding a New World’—the theme this year. Yet, progress would not be possible if not for the thinkers and tinkerers that toil behind the scenes to turn ideas into reality. Hence, the themes of developing and connecting people reverberated strongly throughout Mr Heng’s speech and the panel discussion. To nurture and harness the innovative spirit of Singapore’s tertiary students, two new initiatives—Lean LaunchPad and Pollinate—have been launched, announced Mr Heng. The former is a national entrepreneurial training programme for researchers, while the latter is an incubator for companies started by polytechnic students and alumni. Besides cultivating the next generation of inventors, innovation can also be encouraged by connecting people from diverse backgrounds and technical domains. 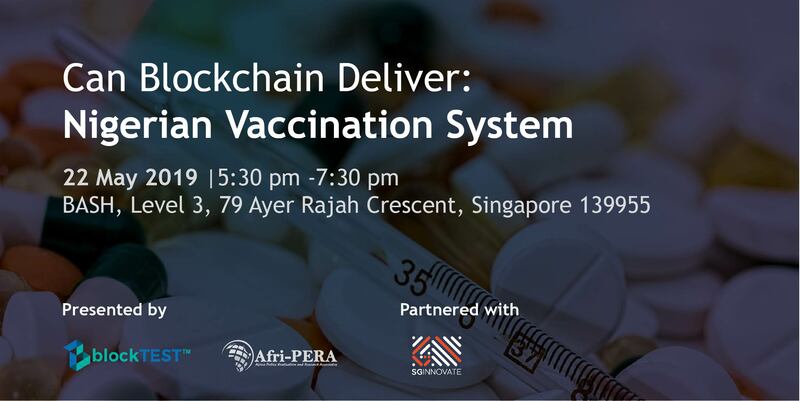 In light of this, Mr Son seeks to create a “collective impact community” that consists of multidisciplinary teams of inventors and entrepreneurs, he said during the panel discussion. “At Mistletoe, we are bringing together researchers, designers, engineers and enterprise owners to solve big issues in the world using technology,” he said. Mr Bao-Bean agreed with this approach, further proposing the model of linking startups to large companies to work on specific innovation projects. 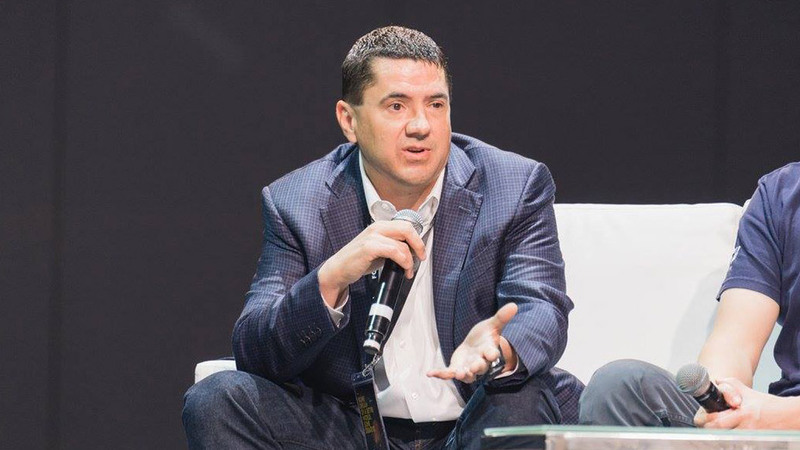 Startups are good at experimenting, while large companies are good at executing; therefore, marrying the two brings forth the best of both worlds, he said. While people may generate the pulse of innovation, the ecosystem they work in must also be conducive for their efforts to scale. Only the right combination of factors will give rise to a fertile soil within which innovation can take root and grow. “You need several ingredients to build up a tech company: money, people, mentors, support from the government, open exchange of information and a society that is tolerant of failure,” said Mr Descheneaux. The Singapore government acknowledges its role in creating a “frictionless environment” for innovation to thrive, said Mr Heng, who highlighted two government initiatives aimed at promoting technology transfer and granting greater access to smart capital. At the same time, the National Research Foundation and Temasek Holdings are establishing new commercial entities to build and invest in deep tech startups arising from research and development conducted in Singapore. With these two programmes in place, more technopreneurs will be able to build and scale impactful, research-driven solutions. “Over time, we hope to build a generation of tech companies that will take scientific innovations from lab to market, and from Singapore to the world,” concluded Mr Heng. 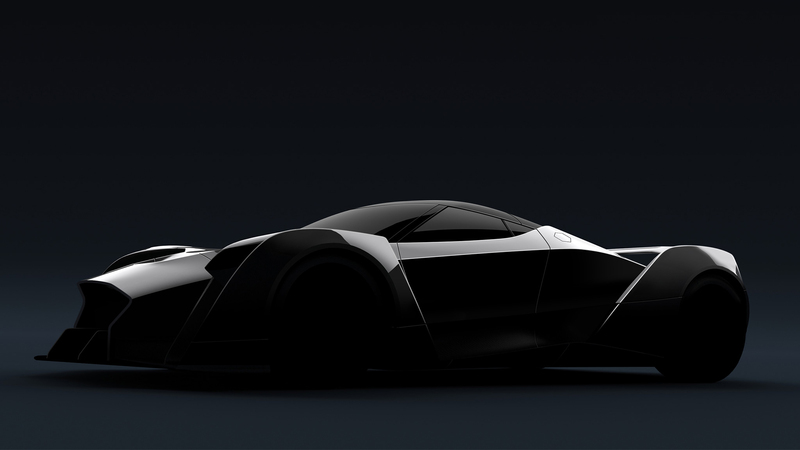 But time is short in an era of disruption. Even as we begin to understand and explore the full potential of the likes of AI, the Internet of Things (IoT) and blockchain technology, these inventions are already evolving and coalescing into more complex technologies with emergent properties. AI is now mimicking the human brain to perform not just machine learning, but also machine thinking, gaining ever greater versatility in problem solving. Meanwhile. blockchain technology is coming into its own, separating its identity from cryptocurrencies and seeping into any process that values trust and immutability. And when intelligent robots and AI can take over human functions, human individuals will no longer have to perform drudgery just to obtain financial resources to survive. Dr Goertzel believes that this will free up humans for other “intellectual, spiritual and artistic pursuits”, presumably leading to greater happiness. I think we can all agree that tech continues to accelerate exponentially, changing and creating opportunities that are difficult for us to understand but exciting nonetheless, said Mr Leonard, rounding up the panel discussion. While some dream of a better world, others create it. For many entrepreneurs and fledgling companies present at SWITCH, this exciting process of ‘Founding a New World’ is just beginning. 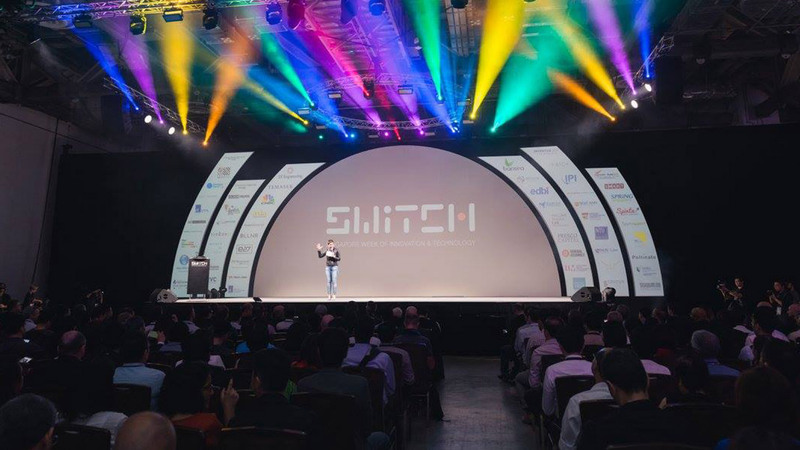 SWITCH (Singapore Week of Innovation & TeCHnology) is a leading “plug and play” platform in Asia that showcases the best ideas, technology and innovation from around the world. Through a series of complementing technology and innovation events held between 18 - 20 September 2017, SWITCH brings together the best minds to create exchanges that will shape our world. At SWITCH, interactions are the catalyst for change; at the end of the day, technology does not shape our future – we do. SWITCH brings together partners from around the world in the technology, innovation and enterprise ecosystem, featuring exhibitions, conferences, workshops and activities revolving around topics such as open innovation, technology transfer, tech entrepreneurship, venture funding and talent development. SWITCH is brought to you by the National Research Foundation Singapore and organised by SGInnovate. 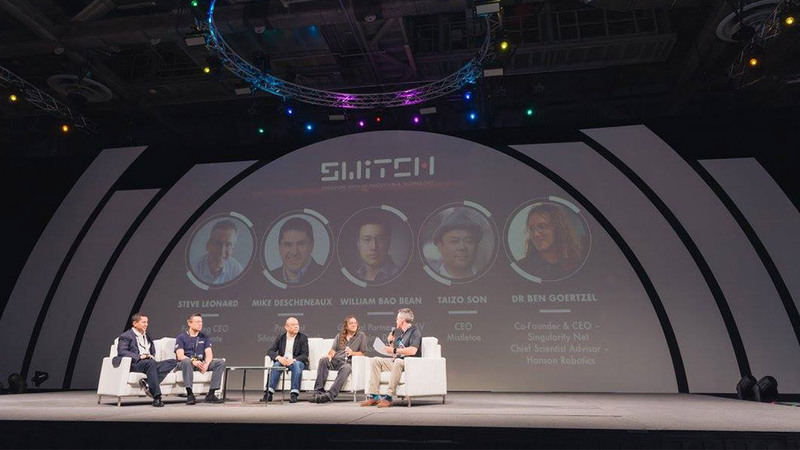 SWITCH Partners include Campus Party, Convergence, Impact Hub Singapore, Nature SciCafé, Singapore Quickfire Challenge, [email protected], Slush Singapore, SWITCH ON @ LaunchPad, TechInnovation, VentureCon (e27) and Women in Tech Conference (Asia).